National Egyptian Museum, Ibn Tulun Mosque and Coptic Cairo. Admire artifacts from Ancient Egypt in the Egyptian Museum. Then visit Ibn Tulun Mosque, the Oldest Mosque in Cairo from the 8th Century where you can climb it’s one of a kind Twisted minaret in the whole world. Then tour Old Cairo, the site of a city that Pre-dated Cairo with many historic churches and a Roman fortress also the crypt of the Holy Family and Ben Ezra Jewish Synagogue. 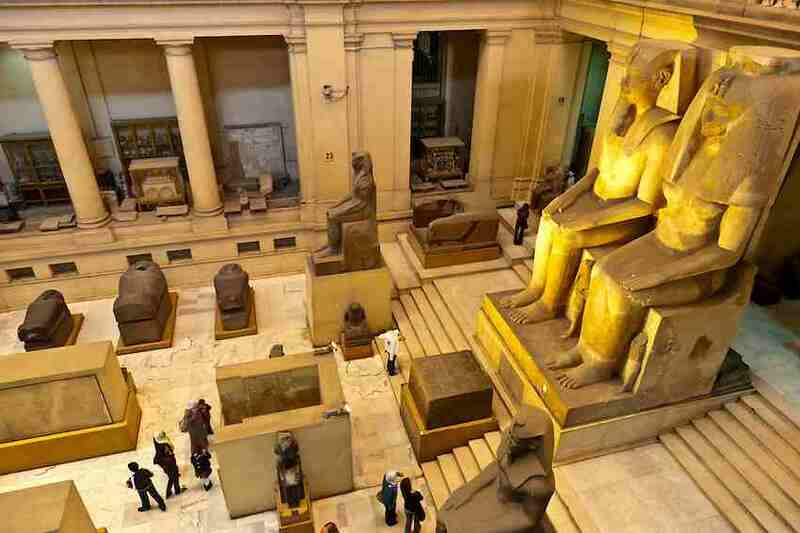 Start with the Egyptian Museum, which features artifacts from the Pharaonic period. The museum displays a rare collection of 5000 years of art which is considered the largest and most precious collection of Egyptian art in the world. Over 250,000 overwhelming artifacts are presented, including an exhibit dedicated to Tutankhamen collection of treasure, gold and jewelry which was enclosed in his tomb for over 3,500 years before it was discovered in the 1920s when his tomb was excavated. Then proceed to visit The Mosque of Ahmed Ibn Tulun, the son of the chief Stewards of the Royal Palace in Baghdad who convinced the Khalifa to appoint his son as the Loyal Vice-Roy in Egypt. The mosque is so unique with its one of a-kind Spiral Minaret in the whole world, which you can climb its outer staircase. Lunch will be served in a local restaurant. 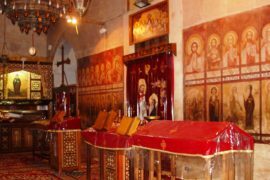 Then we move on to Coptic Cairo to visit the Hanging Church, Ben Ezra Synagogue, Church of St. Barbara, and Church of Abu Serga. Later you will be transferred back to your hotel. 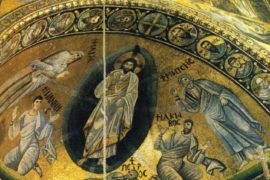 ST. CATHERINE MONASTERY A "UNIQUE TREASURE"